How We Choose Our "Partners" | Lanny D. Levin Agency, Inc. When we decide to represent a company we seek ways to build a "partnership" with the carrier so that it will provide maximum service and responsiveness to our clients' needs. 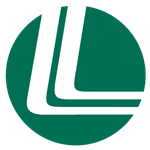 LANNY D. LEVIN AGENCY, Inc. has represented The Guardian Life Insurance Company of America, New York, NY, one of the country's oldest mutual life insurance companies for almost forty years. Considered to be among the finest insurance company in America, this company has received excellent ratings from all of the major independent rating services and has one of the best dividend paying records in the industry. We have close working relationships with senior underwriters and administrative people. This enables us to work more effectively to provide our clients with whatever it takes to meet their life insurance needs. We review the reports of the major third-party rating services. We investigate the capital position and investment portfolio of the company and review the company's performance history. We test proposed product designs to be certain that performance will be satisfactory if interest-crediting rates fall below current levels. We scrutinize insurance illustrations to determine the feasibility of product assumptions. We specialize in utilizing life insurance in sophisticated ways, and use our knowledge to benefit buyers (rather than sellers) of life insurance.